Windows 7 has built in support to burn ISO images onto DVD and CD. That means you dont have to install any other software like Roxio or Nero to burn your images. And in few clicks you can burn your ISO ! 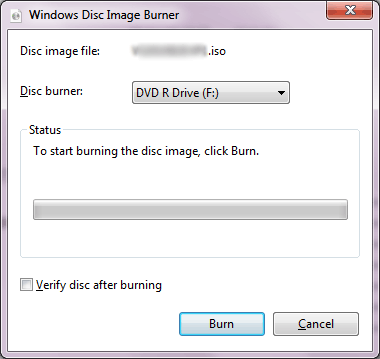 Right click the ISO file and choose burn disc Image If you have other CD/DVD writing software, you might have to do Right Click > Open With > Windows Disk Image Burner. Done and now your DVD/CD should be ready to serve! I dint know windows could burn ISO files straight away!